What is the number one reason why most people start their own small, home-based business? So that they can be their own boss. Dealing with a boss day after day, especially if you do not like or respect the boss that you have, can be extremely frustrating. So you purchase a few moonwalks and you start your own bounce house rental business. One of the key mistakes that most moonwalks rental business owners make is that they do not realize that there are times when they need to ask for help. There are times when they’re not able to do the things that need to be done for the business and rather than asking for help, they try to do those things themselves. If you would like for your moonwalks rental business to not only stay open but to thrive, it’s vital that you learn when to ask for help. Everyone has limitations, and that is not a bad thing. Limitations let us know what we can handle and what we can not, and recognizing and acknowledging your limitations is extremely important. One way to figure out when you need to ask for help, and when you do not, is to think about your strong points, and your weak points, and to list them all down on a piece of paper. For instance maybe you’re great with people. Then you would write down something like “people person” on the paper. Maybe you’re great with numbers, or you are a very technical person – these are all things that you should write down on your paper. Then, on another paper, you’ll write down things that you’re not so good at. Maybe you’re not great at running a website or thinking up an ad campaign. Once you’ve figured out the things that you’re good at, and the things that you need help with, you should post the lists somewhere where they are easy to see. Then, when something pops up that you have on your list as being something you’re not very confident in doing, you can get some help. Eventually your moonwalks business may grow to the point where you have to hire help, but you may be surprised to find that there are likely people all around you who are more than happy to lend you a hand. Knowing when to get help is key to having a successful business. When you are trying to market a business, one of the best places to be is in the city. It’s natural to assume that trying to have a business in the city is much more difficult than trying to run one in a more rural area, simply because you may believe that you will have far fewer inflatable jumper rental businesses to have to deal with if you are in a rural area. In reality, however, trying to market your business in a rural area can actually be much more difficult than trying to market it in a larger city. But what makes marketing in a rural area so difficult? One thing that makes it difficult is that many people in smaller towns do not deal with change well. They tend to like things exactly as they are and they may have a difficult time allowing a new company to get the business that an older, more established company may have already been getting. There are, however, a few things that you can do to help market your inflatable jumper rental business in a rural area. Make Friends – One of the most important things you can do when it comes to marketing your business in a rural area is to make some friends. In smaller areas word-of-mouth is far more important than how much money you spent in getting a great ad design. The more friends you make, the more likely those friends will be to tell other people about your business. Donate to Charity – While donating money is a great thing, donating your time, and your inflatable jumper, to charity can be a great way to help get your business known in a small town. Many small towns come together when they are trying to support something, or someone, and showing that you’re willing to be one of them, and that you’re more than willing to donate your time and your inflatable jumper, will put your business in a good light. Keep Things Cheap – Take a look at your expenses and try to keep things as affordable as you possibly can. People in smaller towns generally make a lot less than those in larger cities, so keeping things affordable is definitely a good way to get new clients. There are a number of things to keep in mind when it comes to advertising in a small town, but first and foremost remember that reputations are key in small towns. The better your company’s reputation is, the more likely it is that you will get work. Any savvy business owner knows that the best way to ensure that you have a successful business is to have a good reputation. 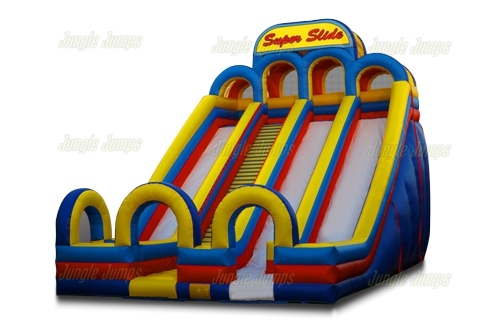 A reputation is more valuable than any product that you could rent or any high quality commercial moonbounce that you could purchase. Keeping a good reputation is paramount if you want your business to succeed. But what happens when something goes wrong? What happens, and what do you do, if your business reputation has taken a downturn. The first thing any business owner should do is to identify how things started to go badly. Thanks to today’s social media it’s a lot easier than it used to be to find a disgruntled client. Trace things back, and feel free to contact people who are against your business and to politely ask them if they have any information, and figure out exactly who started the negative discussions about your business. Once you’ve learned who has a problem with your commercial moonbounce rental business, you can then contact them directly. Remember to speak calmly and rationally with the person and to give them a great deal of respect, even if they are not giving it back to you. Ask them why they have a problem with your business. Identify the exactly problem and then try to quickly come up with a remedy. If they are rightfully unhappy with your business it is polite to offer a refund. If they are upset because the bounce house was not as good as they wanted it to be, offer to set up another commercial moonbounce for them free of charge. If you’ve made them happy they will likely rescind their complaints about your business. There are times, however, when a person may be disgruntled for no valid reason. It is still important to speak with them calmly, but it is also important to make sure that you are firm in your politeness. Explain that you would like to help them and that you want them to be happy with your services, but be clear in telling them that whatever they are upset over is nothing you had control over. If they continue to malign your commercial moonbounce rental business, go viral. Post respectful comments on your social media sites about the situation and explain that your side of the story. People are generally smart enough to make their own decisions. 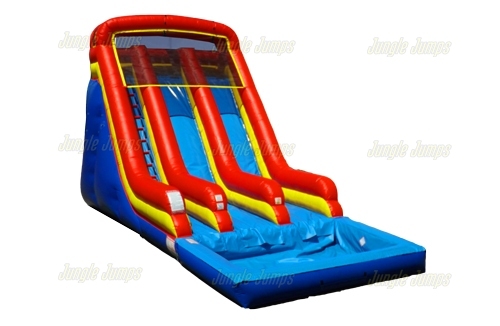 One of the things you’ll quickly realize, likely only after you have found the perfect moonbounce for sale for your business, is that you may find yourself out of your home for extended periods of time. 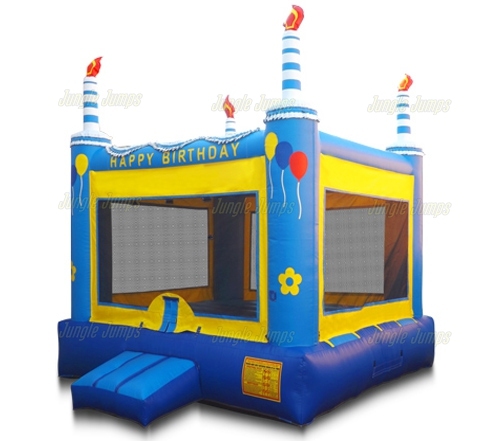 While you can easily set up your bounce house at a home for a birthday party or corporate event and can then leave, you may find yourself hired to man the bounce house for a party, or you may inflate your houses at an event which requires that you stay. More than one bounce house rental business owner has found themselves unprepared when this happens. If you want to make sure that you’re comfortable, here are a few things that you should think about packing and taking with you whenever you have to man one of your inflatables. Chair – Standing around all day watching children jump on your inflatables can make the day a very long one, so make sure that you always pack a chair or two to bring with you. Folding chairs work beautifully for this as you can leave them in the trailer with the moonbounce for sale that you purchased. Water – Never make the assumption that water will be available wherever you are. Quite often you’ll find yourself sitting or standing in some very warm weather, and not having access to water can make things extremely uncomfortable, which may make you testy and which then may also reflect back poorly on your business. Always pack a cooler with a bunch of water in it so that you’re able to stay hydrated. Food – Another mistake first-time business owners make is to believe that they will have access to food as well. Just because there may be a barbecue going on at the location doesn’t mean that you will have a chance to eat any of it. Maybe you won’t be invited to enjoy the food, or maybe you will be but you won’t have anyone to watch the inflatables while you get the food. Pack some food into your cooler to make sure that you don’t go hungry! Sunscreen/Hat – Once again, remember that we’re dealing with a lot of warm weather. Make sure you have a hat in your vehicle so that you always have protection from the sun, and invest in some sunscreen as well! Business Cards – Finally, always remember to bring business cards along with you. The more you pass out, the more likely it will be that you’ll get more business!